Duff McKagan has announced US tour dates in support of his forthcoming album, “Tenderness”, and is streaming the track, “Chip Away”, as the latest preview to the project. Backed by “Tenderness” producer Shooter Jennings and his band, the Guns N’ Roses bassist will launch the record with an April 4 appearance at The Grammy museum in Los Angeles, CA ahead of the trek’s official opening night at the Theatre Of The Living Arts in Philadelphia, PA on May 30. The three-week series will feature stops in most major markets including Boston, New York, Chicago, Nashville, Austin and San Francisco before wrapping up in McKagan’s hometown of Seattle, WA on June 16. Tickets for many of the dates will go on sale Friday, March 22 at 10 AM local time; for full details, visit duffonline.com. The tune “is somewhat of a rail against cable news and divisive agendas... all for the almighty dollar,” says McKagan. “The song also highlights the fact that history repeats itself over and over, and that we will all get past this, together." 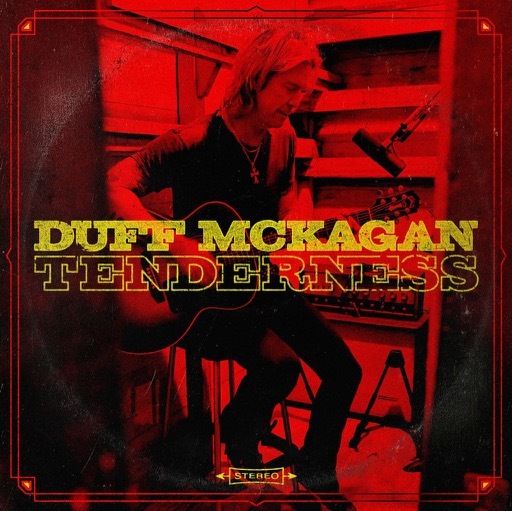 “Tenderness” will be available in multiple formats, including CD, digital and vinyl – including a limited-edition package on 180-gram yellow & red starburst vinyl that also adds the CD, an exclusive lithograph signed and numbered by McKagan, and a deluxe hard-cover book presenting photos and liner notes from the recording sessions.